Despite a long-standing adoration for the medium of video games, I have never been interested in trying to make my own. Even with that mindset, however, Project Spark quickly got my creative juices flowing in an enjoyable way. When creating a game and world of your own, the first thing Project Spark has you do is terraform the land. Building mountains and tearing holes in the ground is fast and quickly gives you a sense you are creating something worth exploring. That’s the easy part. From there, you are dropped into the daunting task of coding (or Koding as it is referred to in Project Spark) your world and characters. A short single-player game helps explain some of the properties of the coding, but it feels unfinished. Essentially, players must find coding tiles to complete logic sentences that manipulate the level to their will. This is a great way to showcase how coding works in a fun way, and could have been a great way to foster ideas for players to create their own games (something LittleBigPlanet’s campaigns do expertly), but its lack of content make it feel like a teaching opportunity falling short of its goals. The handful of short episodes is completed in very little time, but Microsoft promises more episodes in the future. The coding system in general offers a clean and fairly straightforward visual approximation of a typical programming language, but once you start moving outside of the starter templates, it can get confusing fast. Everything is arranged into “when” and “do” logic sentences. For example, you can manipulate the brain of your playable character so “when” the A button is pressed, the player will “do” the jump action. You can add modifiers from there, opening up an intimidating rabbit hole where seemingly simple actions become head-scratching puzzles. I was forced to access the Internet on many occasions to figure things out. Getting your coding to work and having the game to do exactly what you want it to do, however, is rewarding. Outside of the campaign, which disguises its educational value, there is only one tutorial for making a straightforward 3D action/platforming game. This is the type of game Project Spark favors, even though making many different types of games is possible. For a game so proud of its malleability, I was surprised it didn’t make a stronger effort to teach you more of its options. Project Spark may come up short in helping the player understand how best to take advantage of it, but there is a vibrant community of players making genuinely fun games (and non-games) that have been working hard with Spark since before the game officially launched. I played first-person shooters, turn-based RPGs, music simulators, weird experiments, and more. It’s easy to search and see if anybody has tried to make something specific, but Project Spark also surfaces the good stuff well. From nearly any menu, a list of recent suggestions appears, which means if you see something that looks interesting, trying it out or downloading it to look at the level’s code and remix it is simple. This gives players a lot of incentive to keep checking in and see what people are making, so even if you don’t want to try your hand at design, you may find some entertaining content. 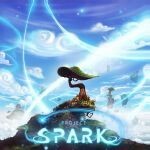 Project Spark offers an impressive collection of tools for tinkerers, or even someone who might want to try prototyping an idea, but the experience is what you’re willing to make of it. It won’t make a designer out of everyone, but if you’re eager to invest and study, it can be a versatile and enjoyable tool. experience is what you’re willing to make of it.